Connecticut native Marjorie Tucker, amateur Sherlockian and Russellian (as in Laurie R. King’s Mary Russell series), worked behind the scenes in the professional theater for a decade of her life including five years as a member of the Boston Shakespeare Company. 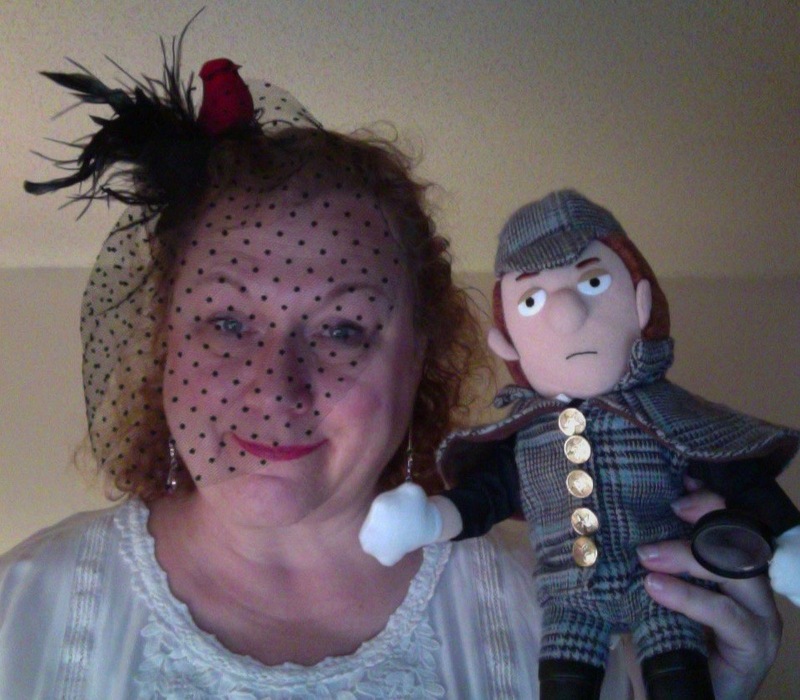 She was born with a face for radio, so she is thrilled to get to spread her wings by becoming part of the Boswell project using her voice and her longtime love for Sherlock Holmes. Earlier in 2016 she was able to visit the Sherlock Holmes Pub, the SH Museum and take a SH walking tour on the same wonderful trip to London.